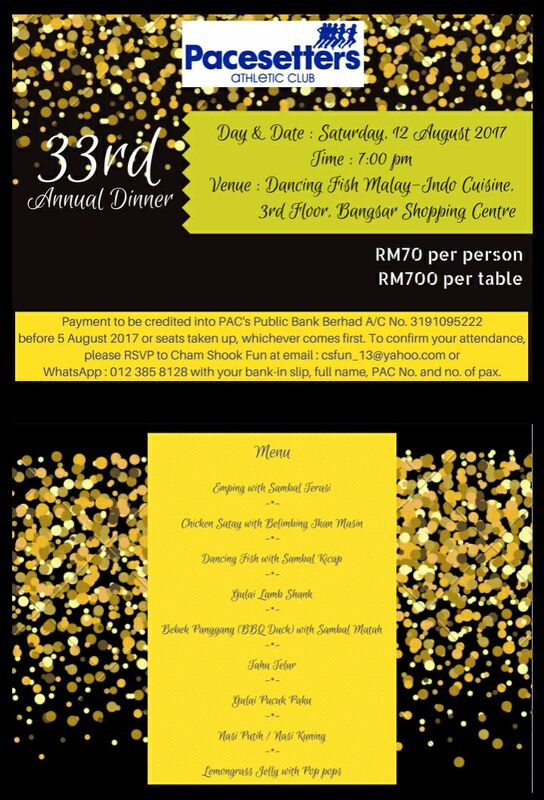 The club's 33rd Annual Dinner will be held on 12th August at Dancing Fish, Bangsar Shopping Centre. Admission fees of RM70 per person is applicable to both members and non-members. Make payment to Public Bank A/C no 3191095222 before 5th August. To confirm your attendance, please rsvp to Cham Shook Fun at csfun_13@yahoo.com or whatsapp 012-385 8128 with your bank-in slip, full name, PAC number and no of pax.